The aim of the project was to create a facility within walking distance of Billinghurst. It was hoped that the community fishing lake would establish flora and fauna and the plan was to plant mixed native trees and shrubs. The project qualified for LCF support under object D: To provide, maintain or improve a general public amenity. 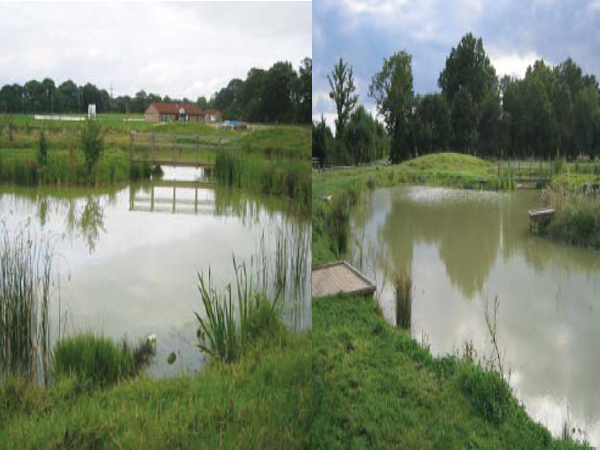 To provide a lake feature offering a habitat for wildlife and for informal fishing. The community based project provides an important link between the hard urban development to the east and open countryside to the west. The provision of the fishing lake has become a haven for wildlife and within a few years it is hoped that the tree and shrub planting scheme will further enhance the area. Whilst the site was being inspected a wide range of species was found. The site won a commendation at the design awards, the judges comment was: ‘This Community Partnership scheme has provided Billinghurst with an important asset’.